This is by quite a way the oldest YM competition in the District. The Adjudicator was Josephine Peach from York. The photo is of the 9 finalists. 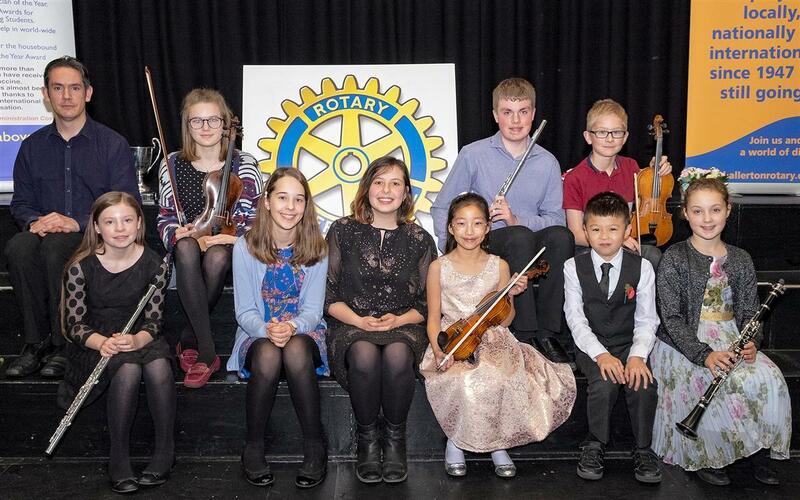 The winner is the flautist Lilly Smith at the front bottom left. The slightly older performer at the back left is our 1997 winner, Jeremy Harbottle, who is now one of the leading cellists in the region and kindly came back to reprise his winning piece as a celebration of our Silver Jubilee. Our Adjudicator gave him a Highly Commended! The winner and runner up will now progress to the next round in York on Sun 3 Mar 2019.